Arts Educational – Tendai Rinomhota goes into her final year and is currently preparing for end of year and agent shows. We have high hopes for her and wish her all the luck for these last few months of training. Jess Booth has also just graduated from Arts Ed and is now in the big bad industry! Bird College – Jenny Watts is currently in her first year at Bird and by all accounts relishing the training. We wish her good luck for the coming year! 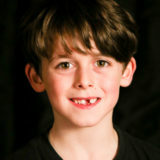 Urdang Academy – Callum Barrott is in the final year of his three year course and is now preparing for his final shows. We can’t wait to see him jump into the industry in July! Gabby Cummins has also gained a place to study from September and we wish her all the luck in the world for her new London life! The Arden School – We currently have 3 Old REBELs training at Arden – Harriet Dixon, Kaylan Dass & Harry Tedford. We hope they are enjoying their time over in Manchester! Capa College – Lots of old REBELs are in the 1st year at CAPA College – Ellie Smith, Shannon Burton, Lydia Dixon, Edward Jackson & Jack Riley. 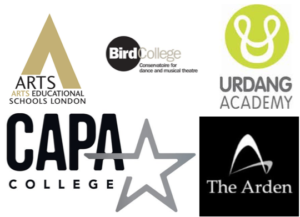 A fantastic Yorkshire college catering for 16-19 year olds, we hope that all of these REBELs will go on to top schools when they reach drama/dance school age!